When Valerie DeLaCruz was growing up, her family and friends were certain she would become an artist. Her obvious ability in the visual arts made it seem clear that would be her calling. Well, Valerie has in fact become an artist--a musical artist. "I love drawing," says Valerie. "It's as natural as breathing to me. But so is singing, and nothing gives me the feeling of joy I get when I m singing." As a child growing up in the shadow of upstate New York/'s Adirondack Mountains, Valerie would sit on her mother's hope chest inventing her own harmonies to songs she heard on the radio. Her grandfather, a fiddle player, often took her to the local record store to pick out any single she wanted. Valerie's selections ranged from the Four Seasons and the Beatles to, later, Joni Mitchell, Linda Ronstadt and Patsy Cline. opened for Johnny Rivers. As a teenager she played guitar and sang in several acoustic harmony acts, and worked as a solo performer as well. Valerie then put her guitar away for a while and fronted a series of bands. One of the first groups she sang in fired her for "lack of stage presence." But by the time she played a cocktail party prior to a Liza Minnelli show years later, Valerie had learned her lesson well. "It's not enough simply to have a good voice, or to have your material down cold," she explains. "You ve got to have something you can communicate in the music. You have to connect with every member of your audience, one by one." Living in Boston after attending the Art Institute of Boston, Valerie toured the New England club circuit in a top 40 lounge act, then a funk band that had her covering songs by the likes of Aretha Franklin and Chaka Khan, and then a country-rock band. For many years she sang with a variety of small jazz groups, honing her vocal chops. Today Valerie has come back full circle to her acoustic roots, writing and recording original country-pop songs. She cites Nashville songwriters Beth Nielsen-Chapman, Kim Richey, Angela Kaset and Hal Ketchum as current influences. For a while Valerie s music took a back seat as she developed a successful commercial interior design business, got married and began raising two children, Alessandra and Michael. But music kept calling her back. "I started making regular trips to Nashville to learn more about the craft of songwriting. Singing is the easy part; expressing yourself through great songs that people can relate to is the challenge." In 1997 one of her songs, "You re the Happy Ending," won First Prize in the USA Songwriting Competition, Country Category, out of a field of 700 international entries. Later that year she received the Songwriter of the Year Award from the Northeast CMA. 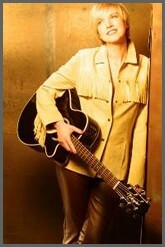 In 1998, Valerie performed in the Lilith Fair Talent Showcase, was the Northeast winner in the TNN Prime Time Country Road to Nashville Talent Series and was awarded Songwriter of the Year and Song of the Year Awards from the Northeast CMA. In 1999, her song "Hey! That s My Kiss" won first prize in the Great American Song Contest (Country). After three independent CD releases, she was signed in 1999 to Relentless Nashville Records, and her debut CD, "They ll Never Know" was released in September,2000. The CD s first single, "Hey! That s My Kiss," was released to great reviews.